Want to know how to get your bod summer ready? Here’s the best secret of all: When it comes to toning up and slimming down, summer can work to your advantage. Let the warm days inspire you to choose fresh foods, stay hydrated, take your workouts outdoors, and lighten up your meals and drinks. It doesn’t need to be complicated; just make healthy choices, stay active and you’re on you’re already well on your way. Skip the complicated meal prep. Stop worrying about recipes that contain numerous ingredients. Summer is the time to look around at the bounty nature offers and take your pick. Whether you’re visiting a farmers’ market or just taking a stroll down the produce aisle at your local grocery store, be on the lookout for fresh, colorful fruits and veggies you can eat as-is or with only a little bit of preparation. Think how delicious and simple a cup of berries is. That’s the beauty of summer. The closer you can get to a natural food source, the healthier your diet. Choose raspberries over raspberry pie. Opt for grilled corn instead of creamed corn. Eat a big chunk of watermelon instead of popping a watermelon candy in your mouth. Let fresh, ready-to-eat ingredients guide you through the season. You know what’s wonderful in winter? Eggs, grits, oatmeal, pancakes, French toast, and omelets. You know what’s wonderful in summer? Smoothies. Remove all the hassle from your mornings by simply blending fruits and veggies together for your summertime breakfasts. You’ll load up on vitamins, nutrients and antioxidants and get out the door fast, leaving extra time for summer fun. If you ever make too much, pour the extra into popsicle molds and voila: you’ve taken the hassle out of dessert, too. 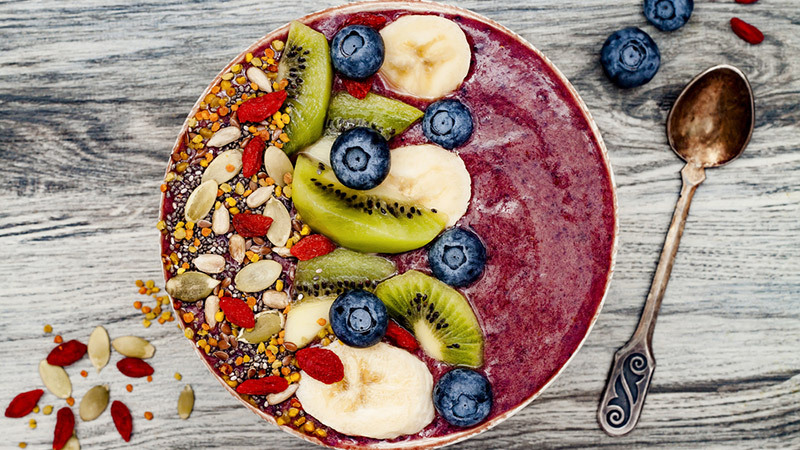 Those smoothie bowls that are so popular on Pinterest happen to be as good for you as they are pretty! Drastically reducing the number of calories you consume in an effort to lose weight always, always backfires. You’ll feel miserable when you’re eating too little, and then you’ll feel even more miserable once you start bingeing to compensate. So save yourself the headache and just eat enough to feel full from the beginning. Not getting enough food messes with your metabolism in a bad way. 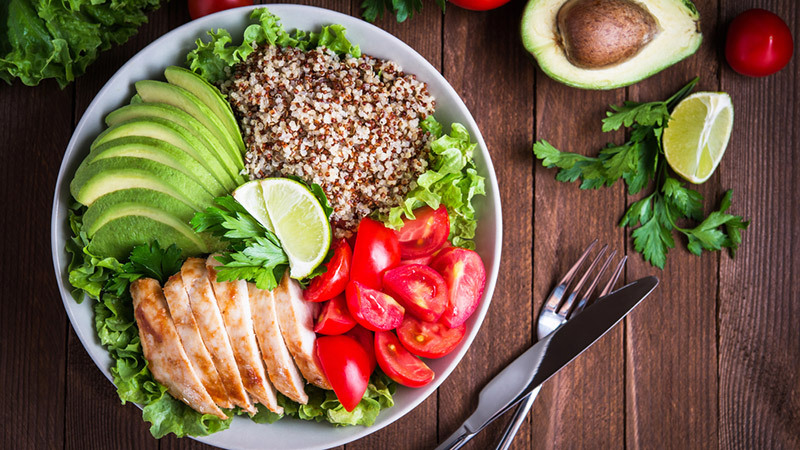 Even when you’re busy and running around this summer, make sure you’re eating enough throughout the day to keep from getting too hungry. It may seem counter-intuitive, but doing so will actually help you lose weight. Remember: It’s not so much about how much you eat, but the quality of foods that you are eating. You can’t out-train a bad diet. This is a fact of life, no matter how many hours you’re putting in at the gym. If you don’t pay attention to the foods you put into your body, you may be putting a lot of work into your exercise routine for nothing. Stop thinking of exercise as a fix-all, as in: I’ll undo all those slices of pizza by working out for X number of hours. It simply doesn’t work that way. Instead, fuel your body with proper nutrients so that you’ll perform even better during your workouts. To lose weight (or to gain weight, if you’re doing a weight-lifting routine), keep these two tips in mind: 1. Eat clean, plant-based whole foods 2. Fuel and recover from your workouts by eating plenty and often. 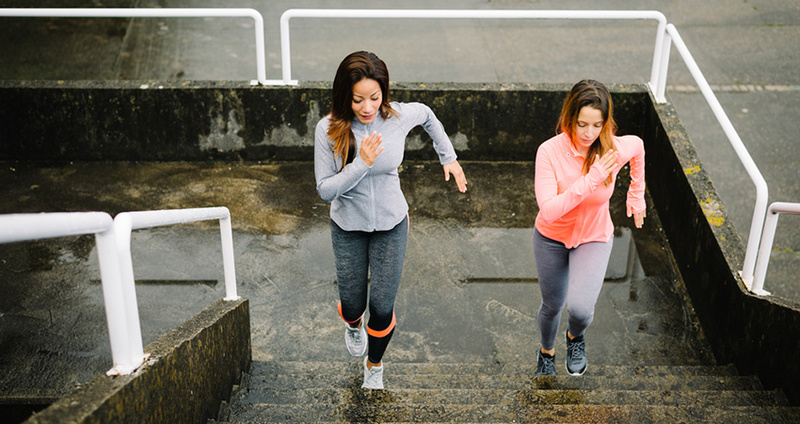 Warmer, sunnier weather can aid your weight loss efforts in two ways. 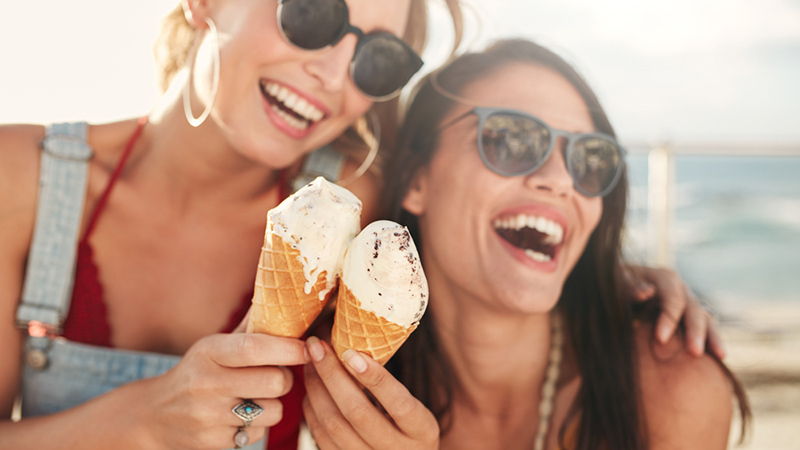 First, hotter weather serves as a natural appetite suppressant. Have you ever noticed how much you feel like staying in, hunkering down, and eating plate after plate of carbs during the winter months? Summer inspires the opposite: you’ll naturally crave fresher, healthier food – and less of it. Also, most people would prefer to get outside for physical activities instead of being trapped in a gym. Warmer weather means long walks and hikes, bike rides, swims, and more. So go ahead: let the weather lead you outside. Even if you’ve been super good about getting your eight glasses of water a day, you may want to increase this amount during the summer months. Hot days lead to more perspiration, and more perspiration means you need more hydration. The more water you drink, the less likely you are to confuse thirst with hunger. Stay hydrated and avoid overeating in the process. Don’t fret if you don’t have time to work out for an hour every day. Incorporating 10-minute express workouts throughout the day can produce results just as good as one long session. Stop thinking about what you don’t have time to do and start thinking about what you do have time to do. Can you do 10 jumping jacks? Run around the block? Skip the elevator and take the stairs instead? Whatever you can do, do it. If you do small things throughout the day, you’ll see results. Soda is a saboteur. Whether it’s regular or diet, you want to stay as far away from sodas as possible. 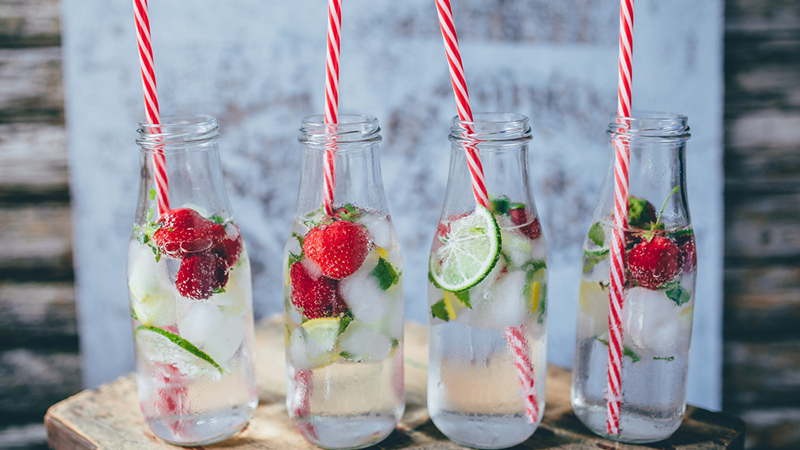 Opt for water or plain water instead, and add lime, lemon or berries to your water to enhance the flavour. Choosing water over soda will help you save calories and money. If you find yourself always craving junk food late in the afternoon, an inadequate lunch may be to blame. When choosing your lunch, don’t think about removing things or slashing calories. Instead, think about what you’re adding; protein and fibre. Fibre-and-protien-filled lunches help you fill you up and ward off late-afternoon munchies. Try a bowl of chili with pita bread, or a fresh quinoa salad. Consider this the tip that brings everything full-circle: eat your fruit, drink your water, and really bring things home by adding fruit ice cubes to your water. 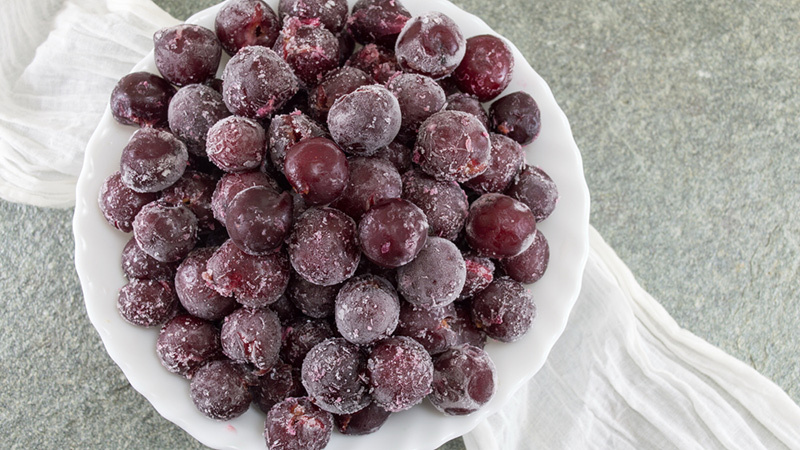 It couldn’t be easier: fill an ice cube tray with water, drop a berry into each slot, and let freeze. Add the fruit cubes to your water and enjoy better skin, digestion and metabolism.